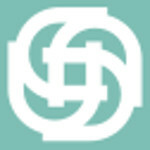 In compliance with the duty of information contained in Article 10 of Law 34/2002, of July 11, Services of the Information Society and Electronic Commerce, the following data is reflected: the company owning the web domain is Shensations (hereinafter Shensations ), with address for these purposes at C / Esperanza Elena Caro, No. 2. Floor 2º -A2 - 41002 C.I.F. number: 44256421M. Contact e-mail: info@shesations.es from the website. The access and/or use of this Shensations portal attributes the condition of USER, who accepts, from said access and/or use, the General Conditions of Use reflected here. These Terms and Conditions shall apply regardless of the General Terms and Conditions of Business that may be binding. https://shensations.es provides access to a multitude of information, services, programs or data (hereinafter, "the contents") on the Internet belonging to Shensations or its licensors to which the USER may have access. The USER assumes responsibility for the use of the portal. This responsibility extends to the registration necessary to access certain services or content.In this registration the USER will be responsible for providing truthful and lawful information. As a consequence of this registration, the USER may be provided with a password for which he/she will be responsible,pledging to make diligent and confidential use of it. The USER undertakes to make appropriate use of the contents and services (such as chat services, discussion forums or newsgroups) that the Name of the company that created the website offers through its portal and, including but not limited to, not to use them to (i) engage in illegal or illicit activities contrary to good faith and public order; (ii) disseminate content or propaganda of a racist, xenophobic, pornographic-illegal, advocacy of terrorism or offensive against human rights; (iii) causing damage to the physical and logical systems of the name of the company that created the website, its suppliers or third parties, introducing or spreading computer viruses on the network or any other physical or logical systems that may cause the aforementioned damage; (iv) attempting to access and, where appropriate, use the e-mail accounts of other users and modify or manipulate their messages. Name of the company that created the website reserves the right to withdraw all comments and contributions that violate respect for human dignity, that are discriminatory, xenophobic, racist, pornographic, that threaten youth or childhood, public order or security or that, in its opinion, are not suitable for publication. In any case, Shensations will not be responsible for the opinions expressed by users through forums, chats, or other participatory tools. Shensations complies with the guidelines of Organic Law 15/1999 of 13 December on Personal Data Protection, Royal Decree 1720/2007 of 21 December approving the Regulations implementing the Organic Law and other regulations in force at all times, and ensures the correct use and processing of the user's personal data. To this end, together with each personal data collection form, in the services that the user may request from info@shensations.es , the user will be informed of the existence and acceptance of the particular conditions of the processing of their data in each case, informing them of the responsibility of the file created, the address of the person responsible, the possibility of exercising their rights of access, rectification, cancellation or opposition, the purpose of the processing and communications of data to third parties where appropriate. Likewise, Shensations informs that it complies with Law 34/2002 of 11 July, on Information Society Services and Electronic Commerce and will request your consent to the processing of your e-mail for commercial purposes at all times. Shensations by itself or as assignee, is the owner of all intellectual and industrial property rights of its website, as well as the elements contained therein (by way of example, images, sound, audio, video, software or texts; trademarks or logos, combinations of colors, structure and design, selection of materials used, computer programs necessary for its operation, access and use, etc. ), owned by Shensations or its licensors. All rights reserved. By virtue of the provisions of Articles 8 and 32.1, second paragraph, of the Law on Intellectual Property, are expressly prohibited the reproduction, distribution and public communication, including its mode of making available, all or part of the contents of this website, for commercial purposes, in any medium and by any technical means, without the authorization of Shensations . The USER undertakes to respect the Intellectual and Industrial Property rights owned by Shensations. You may view the elements of the portal and even print, copy and store them on the hard drive of your computer or on any other physical support provided it is, solely and exclusively, for your personal and private use. The USER shall refrain from deleting, altering, evading or manipulating any protection device or security system installed on the Shensations pages. Shensations is not responsible, in any case, for damages of any nature that could cause, by way of example: errors or omissions in the contents, lack of availability of the portal or the transmission of viruses or malicious or harmful programs in the contents, despite having taken all technological measures necessary to prevent it. 7. MODIFICATIONSShensations reserves the right to carry out without previous notice the modifications that it considers opportune in its portal, being able to change, to suppress or to add so much the contents and services that are lent through the same one as the form in which these appear presented or located in its portal. In the event that https://shensations.es provides links or hyperlinks to other Internet sites, Shensations will not exercise any control over such sites and content. In no caseShensations will assume any responsibility for the contents of any link belonging to a foreign website, nor guarantee the technical availability, quality, reliability, accuracy, breadth, veracity, validity andconstitutionality of any material or information contained in any such hyperlinks or other Internet sites. Shensations reserves the right to deny or withdraw access to the portal and/or the services offered without prior notice, at its own request or at the request of a third party, to those users who do not comply with these General Conditions of Use. Shensations will pursue the breach of these conditions as well as any misuse of its portal exercising all civil and criminal actions that may correspond in law. Shensations may modify at any time the conditions herein determined, being duly published as they appear here. The validity of the mentioned conditions will depend on their exposure and will be valid until duly published. that are modified by others. The relationship between Shensations and the USER shall be governed by current Spanish law and any dispute shall be submitted to the Courts and Tribunals of the city of Seville.